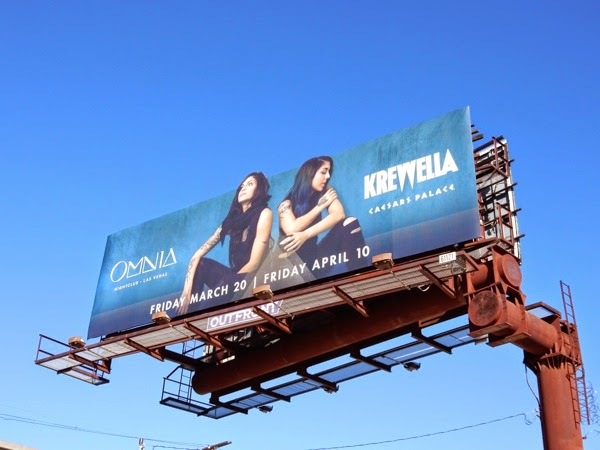 Being so close to Las Vegas, there's never a shortage of billboards in L.A. advertising the hedonistic pleasures of the infamous Sin City, be it the luxury hotels, dazzling shows or A-List performers in residence. 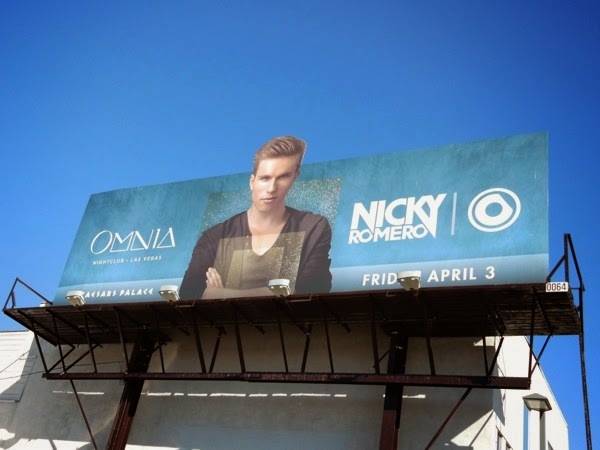 What is unusual is seeing a Vegas venue or destination spending some money to add some design and spectacle to their outdoor advertising, like these special extension billboard ads for Caesars Palace new nightclub, Omnia. 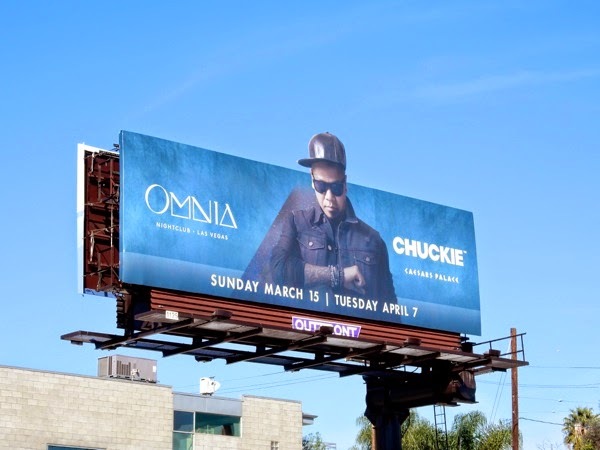 Opening Spring 2015, not only does the 75,000 square-foot, multi-level nightclub boast luxurious lounges, high-energy dance floors and rooftop garden, but it also has a killer line-up of DJ talent by the looks of things. 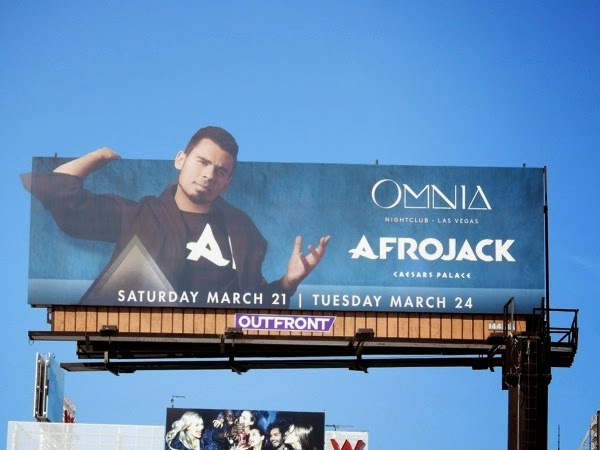 Night-after-night headliners include Afrojack, Martin Garrix, Krewella, Chuckie, Nicky Romero and more to entertain the party-going masses and keep those beautiful bodies in motion. 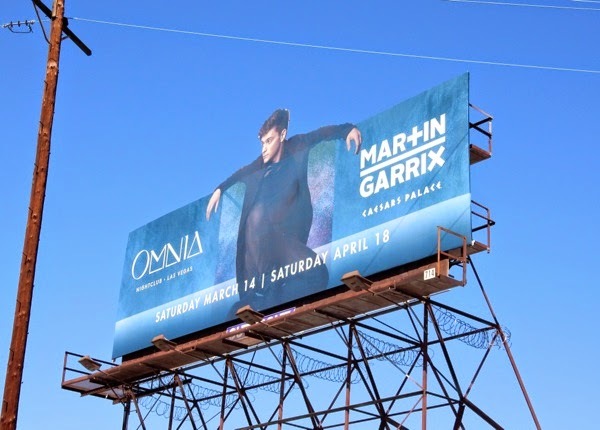 In Daily Billboard's humble opinion, most advertising for Vegas tends to look cheap and poorly designed, with the headline act being the main draw. 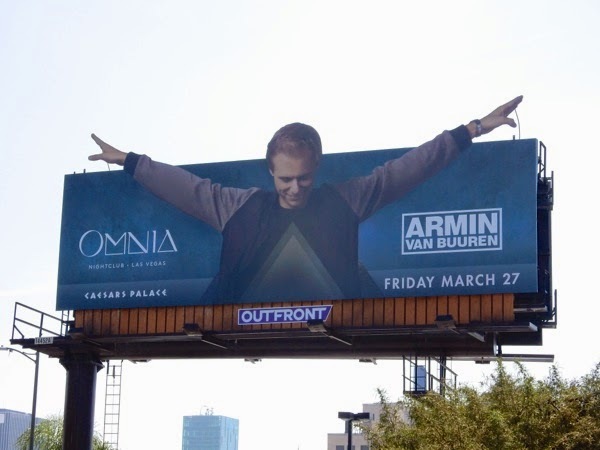 At least with these Omnia billboards, the DJs do enjoy the spotlight, but you can see that some thought has gone into the campaign and there's some real visibility with extensions that grab your attention more than standard billboard hoardings. 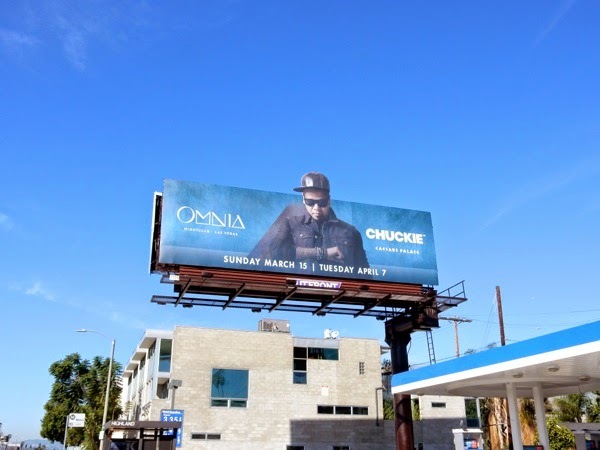 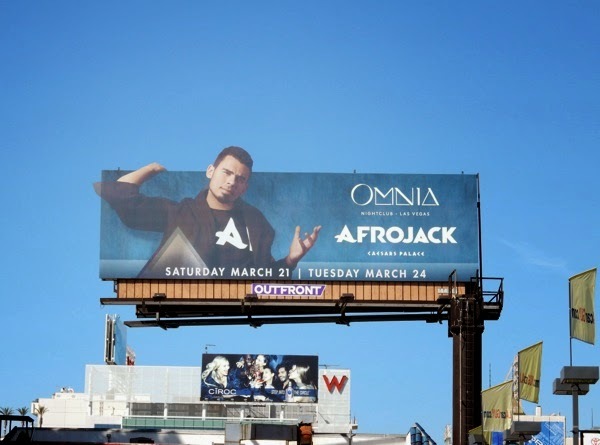 These Omnia nightclub billboards were spied along L.A.'s Melrose Avenue, Hollywood Boulevard, 3rd Street, Fairfax Avenue and Beverly Boulevard from February 25 to March 6, 2015 (and we're sure there's more besides). 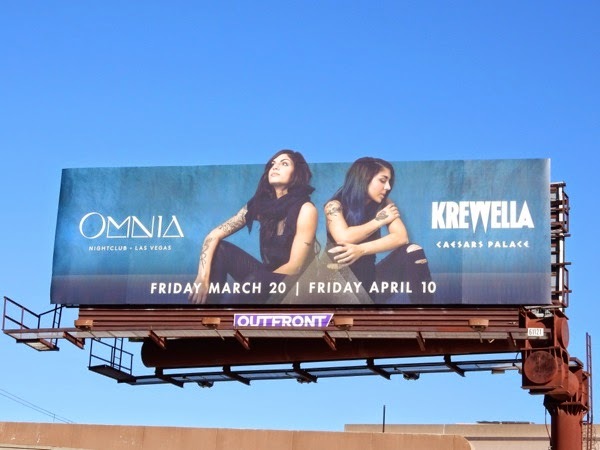 Have these outdoor ads tempted you to try out the new club when you're next in Las Vegas? 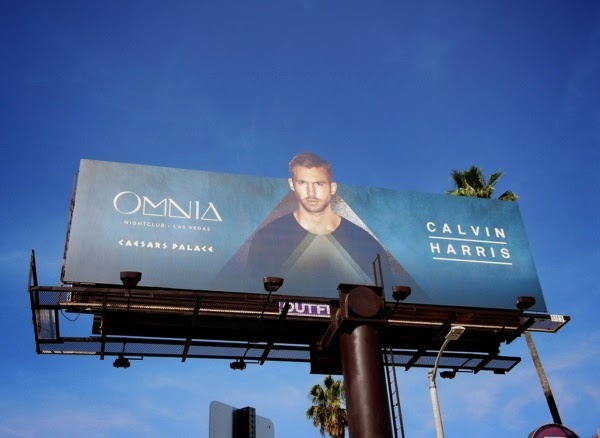 UPDATED: Here's another Omnia billboard featuring another famous DJ, Calvin Harris, spied along Sunset Boulevard in Hollywood on March 16, 2015. 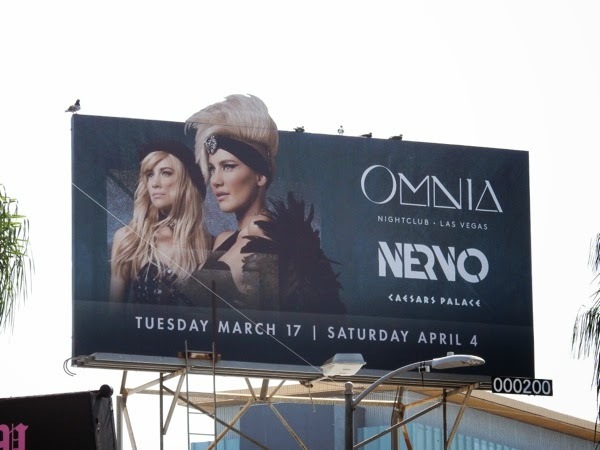 UPDATED: Two more billboards spied for Omnia nightclub, one for Australian female DJ duo Nervo and the other for Dutch DJ Armin van Buuren. 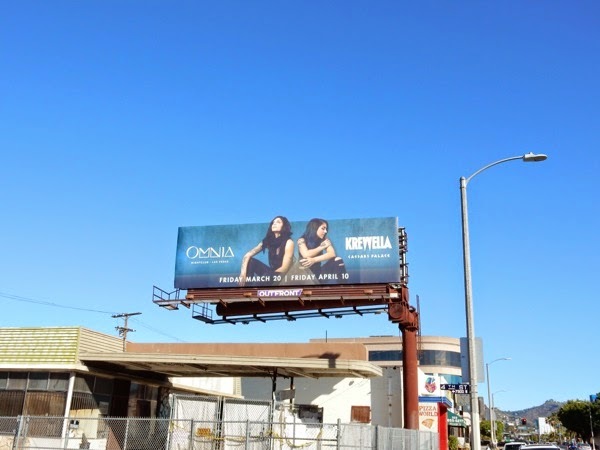 Both special extension billboards were snapped along Cahuenga Boulevard amidst the bars and clubs of Hollywood on March 20, 2015. 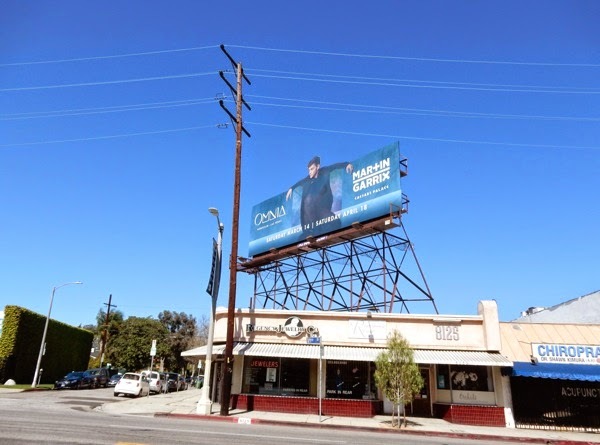 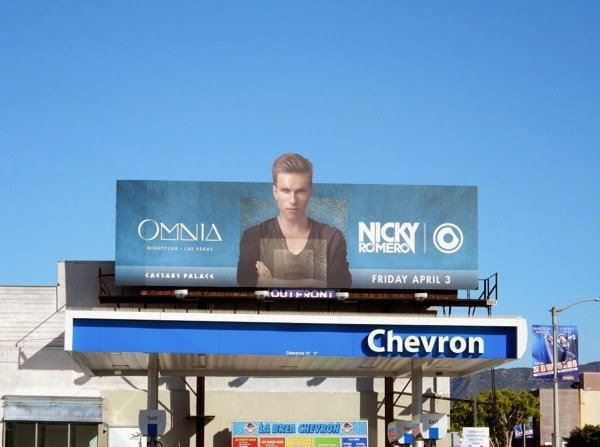 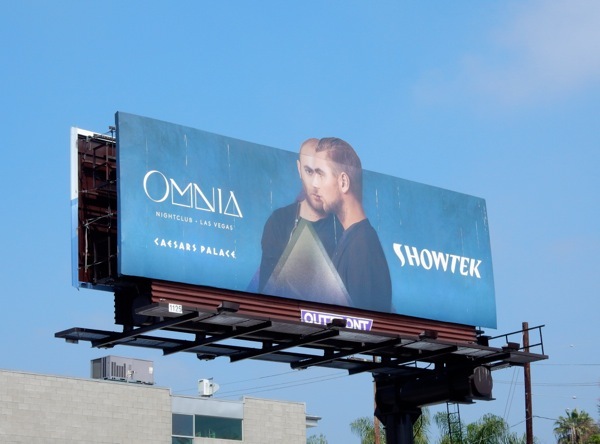 UPDATED: Here's another billboard for Omnia featuring Dutch electro dance music duo, Showtek, spotted along Melrose Avenue on May 28, 2015. The DJ billboards keep coming for the Omnia nightclub with this ad featuring Steve Angello snapped in the same Melrose Avenue location on July 15, 2015.